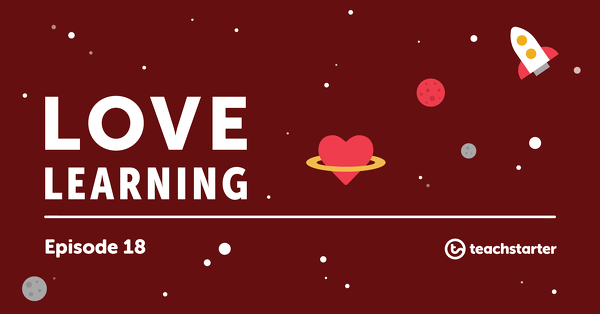 11 Valentine’s Day Activities Your Class Will Love! When you think about Valentine’s Day, romantic love is normally the first thing that springs to mind. Obviously, as primary school teachers, that’s not something we normally associate with the classroom! With that in mind, can we make this day meaningful with engaging Valentine’s Day activities for the children in our care? 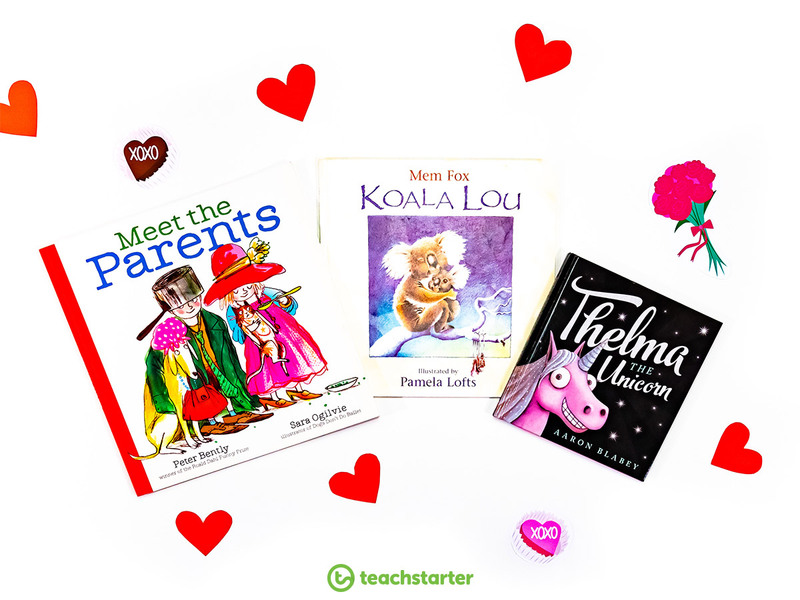 Whether you think it’s the most romantic day of the year or not, Valentine’s Day is a great opportunity to have your students learn the story behind one of the most celebrated days of the year, and share their appreciation for their friends, teachers, family – and themselves! Help your students show their appreciation for all the lovely things in their life with these cute and easy Valentine’s Day activities. Get your class ready for Valentines Day by decorating your room! We have so many Valentine’s Day themed decorations that will make your heart happy. 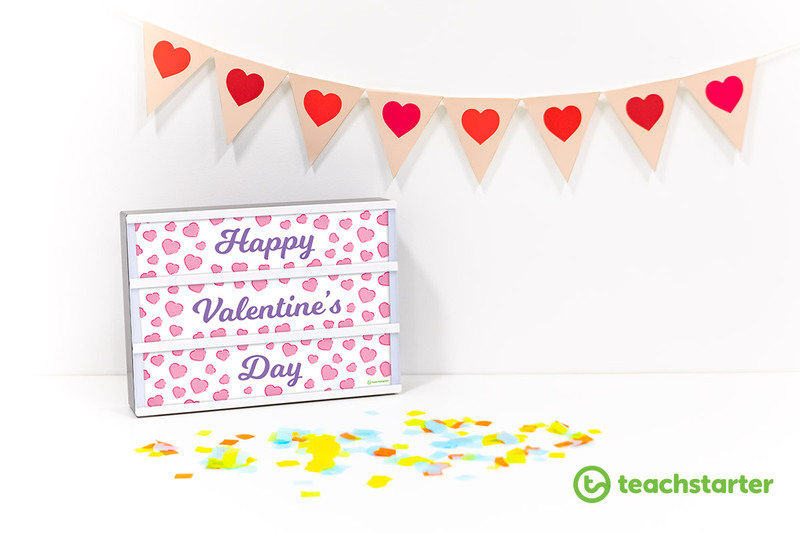 Asking your students to create their own themed Valentine’s Day decorations is a great way to start your array of Valentine’s Day Activities. 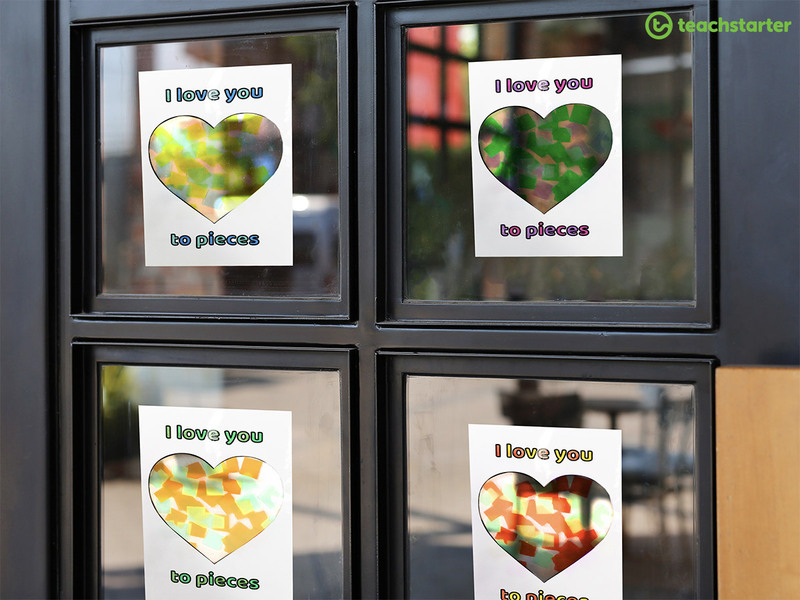 Use the front page of our Free Download: I Love You to Pieces Card to create colorful confetti hearts. Using clear contact, stick a piece on one side of the heart so that the sticky bit comes through the middle. Students then stick small pieces of tissue paper all over the inside. Laminate the card for longevity. Stick it to your window for a beautiful stained glass effect! If you have a lightbox, our themed LightBox Insert: Happy Valentine’s Day will set the right mood! Pair it with our Decorative Bunting: Love Hearts or any of our cute love-related resources! A Valentine’s Day poster to display in the classroom. A Valentine’s Day information page to display in the classroom. Love heart themed letters and numbers bunting. Did you know that Bishop Valentine was sentenced to death for refusing to stop marrying Roman soldiers to their beloved? Or that Mr. Richard Cadbury was the first person to create chocolates specifically for Valentine’s Day? Watch this fact-filled video and ask your students to create a fact page all about the day! Ask your class to complete our ‘Facts About…’ – Informative Texts Worksheet or Informative Texts Writing Scaffold to show their knowledge and understanding of the story behind Valentine’s Day. Start Valentine’s Day with a grateful heart. Use the day as inspiration for your students to pour their heart out with gratitude-filled hearts for their classmates. Why not ask your students to think about something they’re grateful for that another student has done? 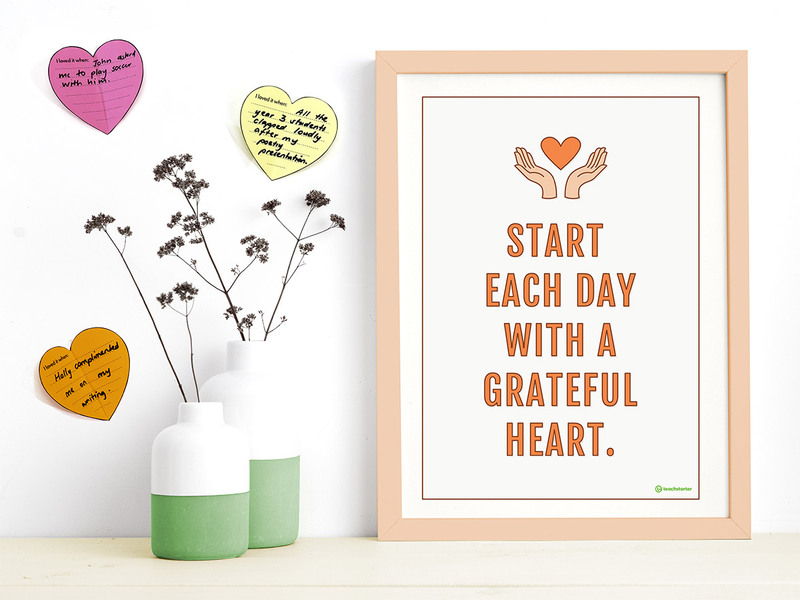 Ask each student to write one thing they’re grateful for on a heart from our Share the Love – Gratitude Love Heart template and display them on your wall with our Free Download: Start Each Day With a Grateful Heart – Gratitude Quote Poster. Take a look at our Gratitude Teaching Resource Pack for more inspirational mindful ideas. Who doesn’t love being complimented? An unexpected compliment can make even the cloudiest days seem sunny! 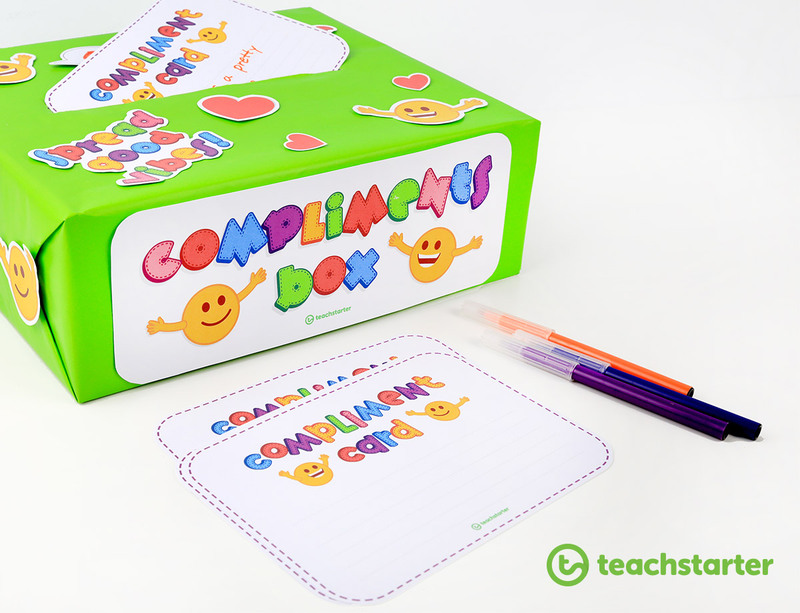 Why not put together a Compliments Box with our Compliment Box Decorations and Compliment Cards? Your students will love the opportunity to anonymously give their friends a smile with a kind word. Read them at the end of the day and see their faces shine! We couldn’t write a blog about Valentine’s Day without including a card activity! Or, how about three card activities? These gorgeous templates and craft ideas are cheap and easy yet effective. All you need for them is either colored paper and/or one of our FREE downloadable templates! 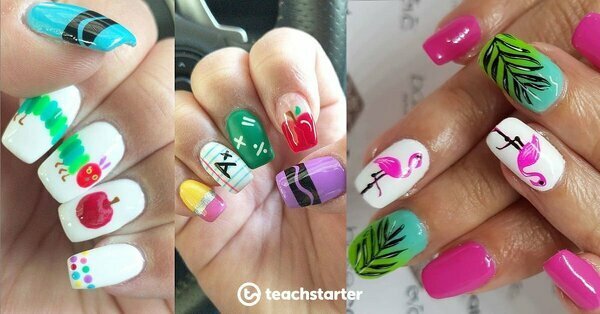 Choose one below or get students to make their own! A cute card template for students to create for Valentine’s Day. A cute card template for students to create for special occasions. 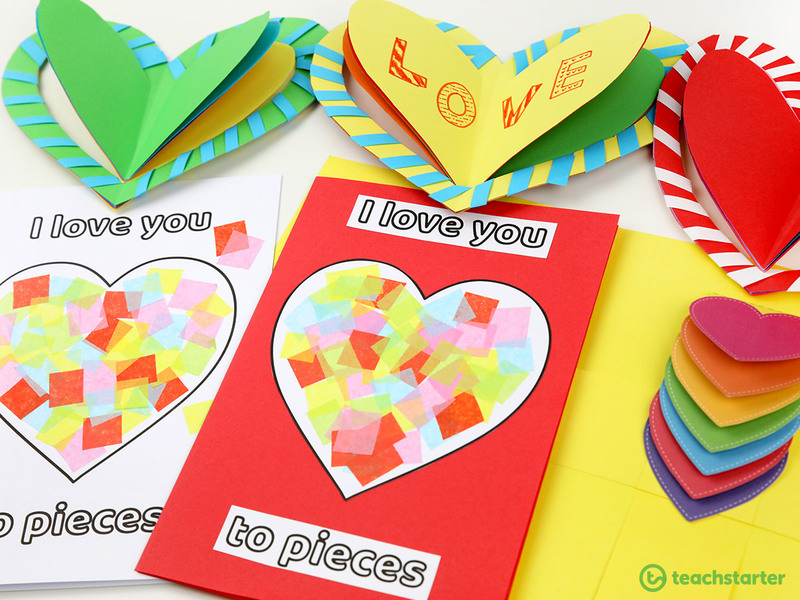 A gorgeous love heart waterfall template for your students to create for someone special. 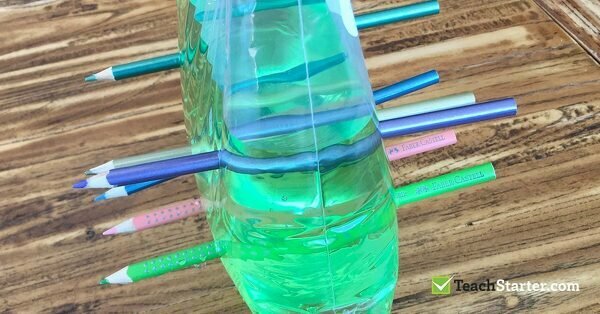 Read more about these Valentine’s Day activities in our blog The Best Valentine’s Day Craft Activities for Kids. 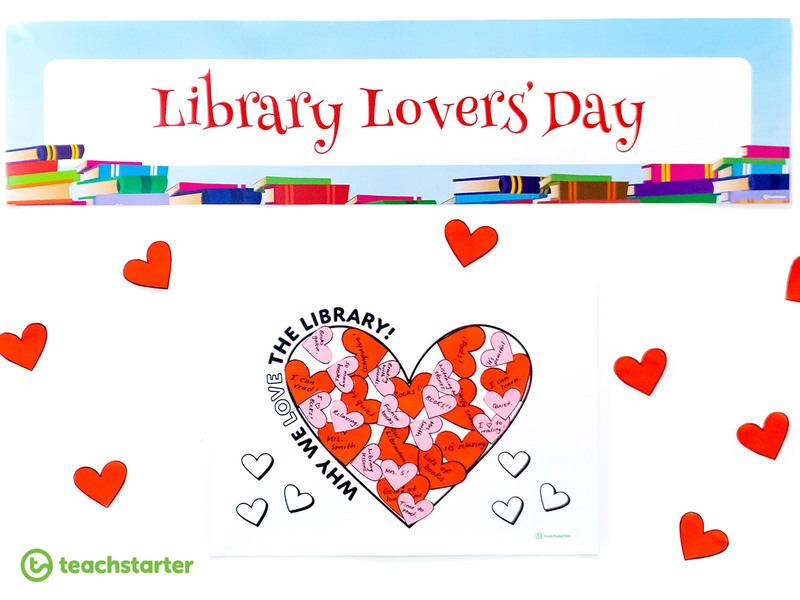 Have you heard that February 14th is also Library Lovers’ Day? That’s right! Use the day as an opportunity to show your school librarian how much they mean to you! Our Free Download: Why We Love the Library Heart Template is a heartfelt Valentine’s Day activity that will encourage students to talk about what they love about their school library. Accompany it with one of our editable Display Banner Teaching Resources! Read more about this wonderful day on Holly’s blog, Delightful Printable Resources for Library Lovers’ Day. If your students want to make a special gift to send to someone they appreciate, why not make a Valentine’s Day Gift Bag? A gift doesn’t have to be a big affair! Why not get your students to draw a picture, write a heartfelt note, or even do some delicious baking to place in their gift bag? 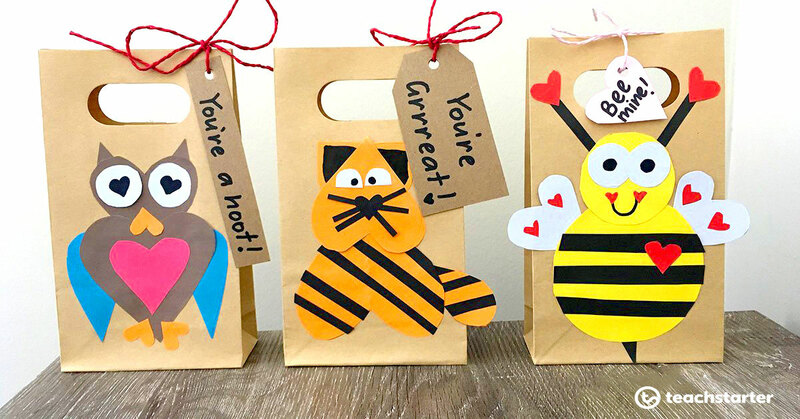 These bags and many more ideas can be found in our blog 13 Valentine’s Craft Ideas and Decorations for the Classroom. Lovebird is the common name of the Agapornis, a small genus of parrot native to Africa. Teach your students about this beautiful animal before getting them to complete a Valentine’s Day Love Bird Activity. Afterward, why not do a research activity on other birds that mate for life? Sometimes it can be more difficult to think about what we love about ourselves. Promoting self-care and respect for oneself is one of the best lessons a teacher can give a child. 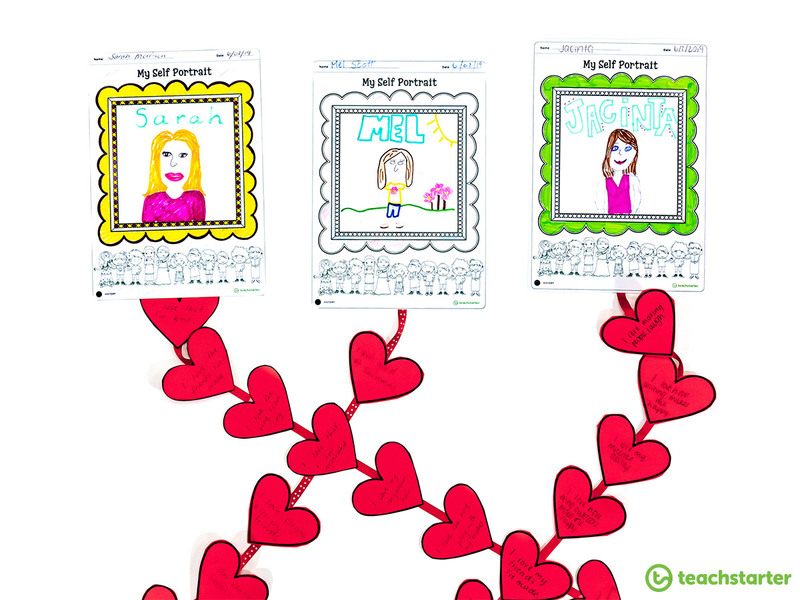 Ask your students to write what they love about themselves and their abilities, and create these beautifully positive Love-Heart chains to display in the classroom! I used the Free Download: Self Portrait Worksheet and the love hearts from the second page of our Free Download: Why We Love The Library Heart Template! Help your students appreciate all their parents do for them with this lovely story! Funny and endearing rhyme and illustrations remind children of all the wonderful things that a parent brings to their lives. This beautiful story is about a Koala who is reminded of her mother’s love, despite all of the distractions of siblings. It’s a strong reminder that even when we fail, we are still worthy of our parents’ love. Who wouldn’t want to be a unicorn? Well, Thelma thought she did…until she learned to love herself for what she already had! Teach your students about appreciating all that makes them unique with this heartwarming story. Create a mural in your school playground with sidewalk chalk and have each of your students pose in the picture. Print out each picture to send home to their families! 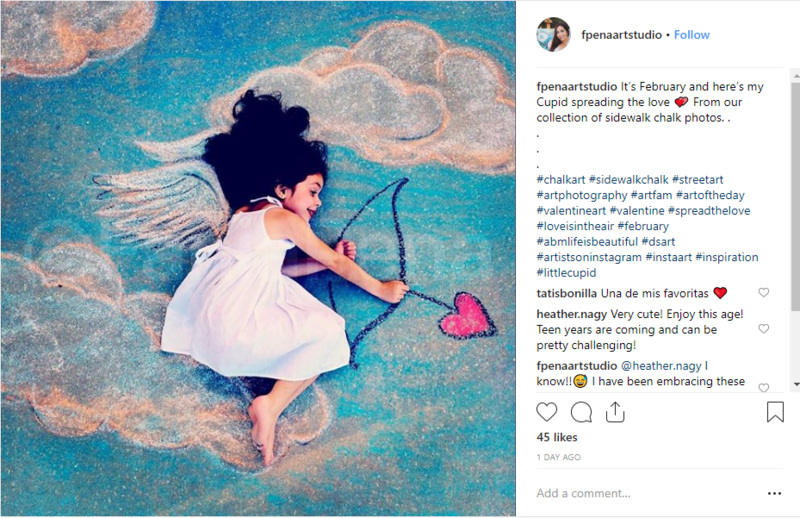 While you may not have the artistic abilities for the above photo, it doesn’t really matter – the options are endless when it comes to sidewalk chalk! If you don’t have chalk, a whiteboard mural can do just as good a job! Show your students how to care for themselves and others this Valentine’s Day! 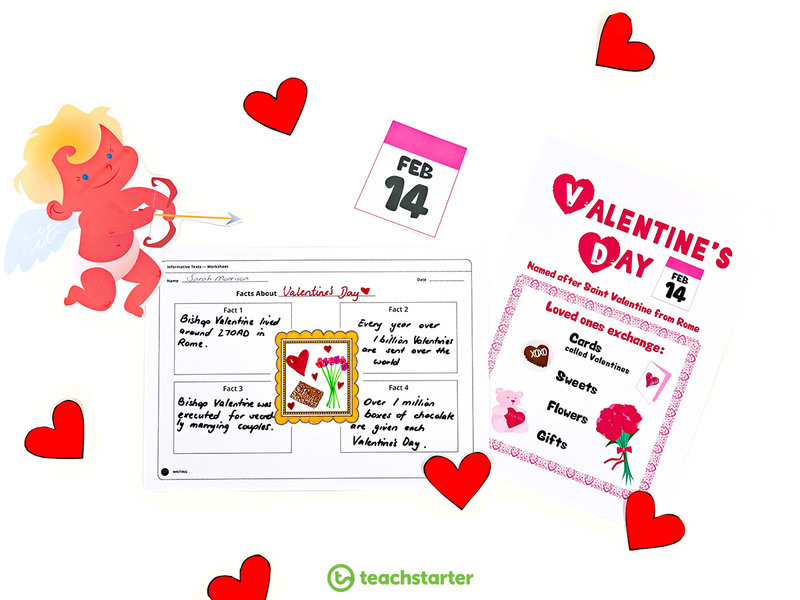 #teachstarter to show us all your lovely Valentine’s Day activities!